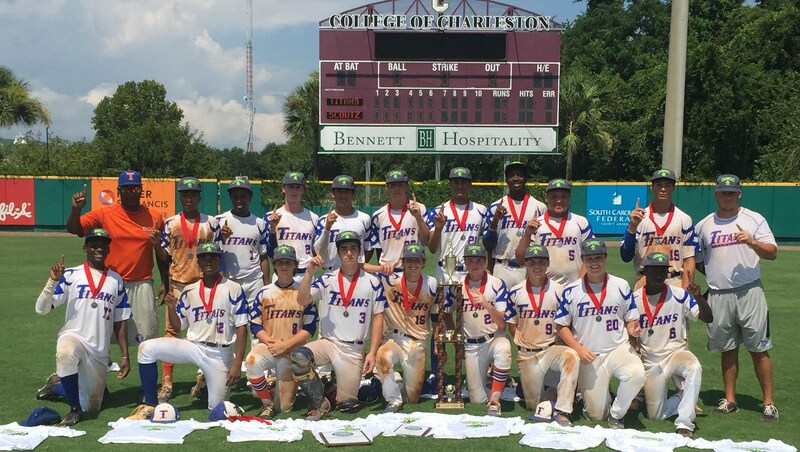 Congrats to Titans Baseball who won the 2015 - 15U Wood Bat CABA World Series! In a hard fought, competitive ballgame, Titans Baseball (GA) topped the Baseball Scoutz 6-3 behind tournament MVP, Connor Pavolony. The Titans had knocked off the Summerville (SC) BB Club 15u team 3-1 in the semi-finals while the Baseball Scoutz advanced to the championship game after a thrilling 6-5 win over the Midwest Prospects Marucci (OH) with a 4 run rally in the bottom of the 7th inning.